It’s genuinely considered that it is only a matter of time until larger smartphone manufacturers like Apple and Samsung release a wave of new devices that come with wireless charging as an absolute standard, and it seems to be the next logical step as well. With that said, considering the speed at which technology is focused on renewable energy and how work on solar cells is expanding, it’s probably not too far in the distant future when the same companies will be looking at integrating wireless solar charging. 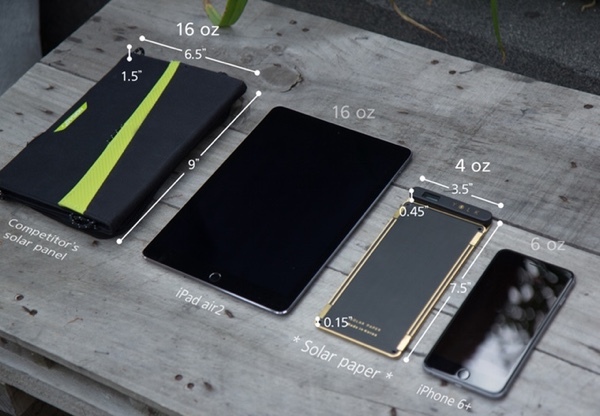 Maybe, just maybe, the existence of the Solar Paper Kickstarter campaign will go some distance to convincing those smartphone behemoths that the time is now for this type of innovation. 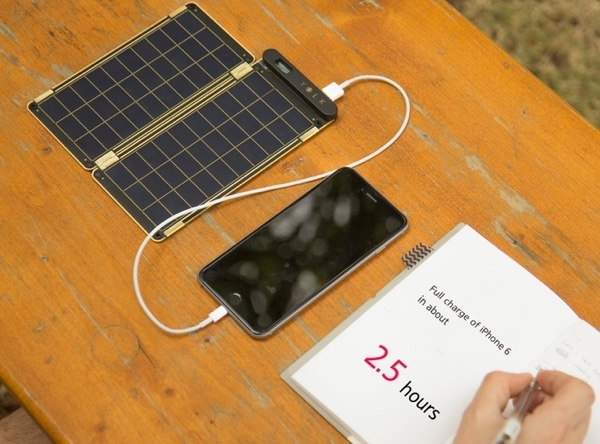 In short, Solar Paper is a campaign that is committed to manufacturing and distributing the thinnest, lightest and most efficient solar charger that can reliably charge a smartphone or any other device that supports the USB interface. The engineering team behind this particular project are estimating that the solar charger they’ve prototyped can fully charge a standard device in approximately 2.5 hours on a clear sunny day. Miraculously, that’s almost the same time as it would take to charge when plugged in through a regular wall socket outlet. 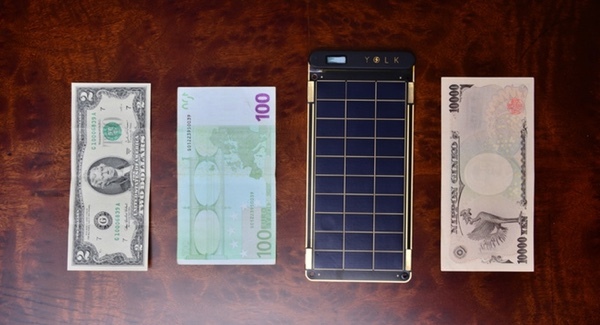 The Solar Paper campaign focuses on generating enough funds to offer 5, 7.5, and 10 watt chargers complete with 2, 3, or 4 solar panels respectively. 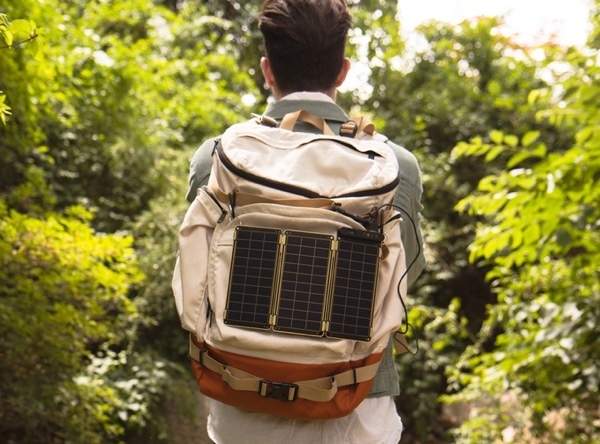 In addition to being the thinnest solar panel currently available, the Solar Paper hardware is also extremely versatile and expandable. The product itself is compatible and capable of charging pretty much any device that recharges via USB as we mentioned above, such as iOS and Android smartphones, tablets, cameras and console controllers. Each panel is also expandable through the use of magnets, making it possible and extremely simple to add more power to your charging capabilities if the need exists. The device itself measures in at just 19 x 9 x 1.1 cm when in its folded position and has a final weight of just 120 grams. When the device eventually ships and is made available to the public, it will command a starting fee of approximately $120. Of course, it wouldn’t be a Kickstarter campaign if there wasn’t a bargain to be had. 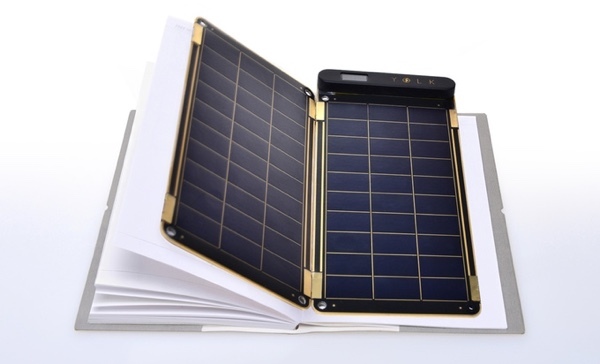 Solar Paper may have surpassed its initial goal seven fold but those interested can still pick up a 5 watt Solar Paper for an outlay of $79. Solar power technology has been around since I was in highschool… 20 years ago. Why hasn’t this been perfected and made available in a wider/affordable scale? no wonder till now why no solar panel for smartphone! it just invented! For everyone out there looking to ՍΝᏞΟᏟΚing AT&T phones, you can google just google atttiphoneuunloockiing, we are able to սոⅼοсking all the firmware up to date, including the modern 6S and 6C.